Our offered range of Surface Plate is extensively used for tool making, inspection, spotting and gauging purposes. Highly durable, reliable, resistant to corrosion and are easy to maintain, these surface plates make an ideal base for mounting sophisticated mechanical, electronic and optical gauging systems. Moreover, to meet the specific requirements of our clients, we can also be customised. 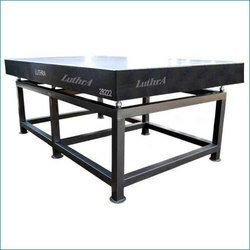 We have granite and Casting both type surface comparrator stand. 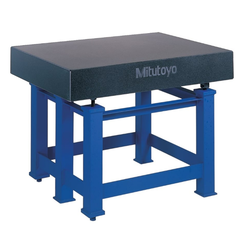 These advantages make black granite surface plates inherently stable and unmatchable against any other material. These plates are supplied with computerized calibration certificate traceable to national physical laboratory (npl, govt of India ) new Delhi. Rexin covers are provided with each surface plate for protection of top surface. We provide fabricated stand with leveling screws on request by our clients. The overall working height of surface plates with stand and leveling screw will be 900 mm (approx) from floor level. We provide special tapped holes and t-slots at the top working surface for fixing work or measuring instruments at extra cost. 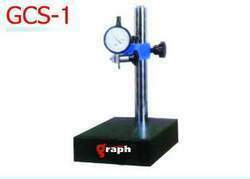 These are offered as per customers’ specifications. Looking for Granite Surface Plate ?